Mickie Ainsworth raised the bar for accordion players by bringing his amazing technique and musicality into a genre which could previously have been described as a little dated. He teamed up with Jimmy Blue in the late 1940s and they played duet pieces which stunned their audiences with slick arrangements and wonderfully confident playing. Mickie joined The Ian Powrie Band in 1956 when the lure of live television became a real possibility. The band toured Australia, New Zealand and North America at a time when international travel was something completely new. Being exposed to singing acts in the Andy Stewart Show meant his talents as a backing musician and arranger were put to full use. Soon his love of harmony meant that he invented what is known today as second accordion. This was pioneering stuff and Mickie led the way by taking old fashioned dance music and bringing it right up to date. 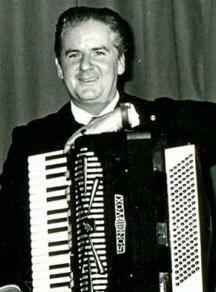 His accordion teaching and playing career has spanned nearly 70 years.